Here begins a tragic story that revolves around a ball. Imagine being in Auschwitz. Thousands of human beings are going to die. Look at the chimneys, in those dense black clouds are murdered men who have already left. They are on their way to heaven because hell on earth has left them. 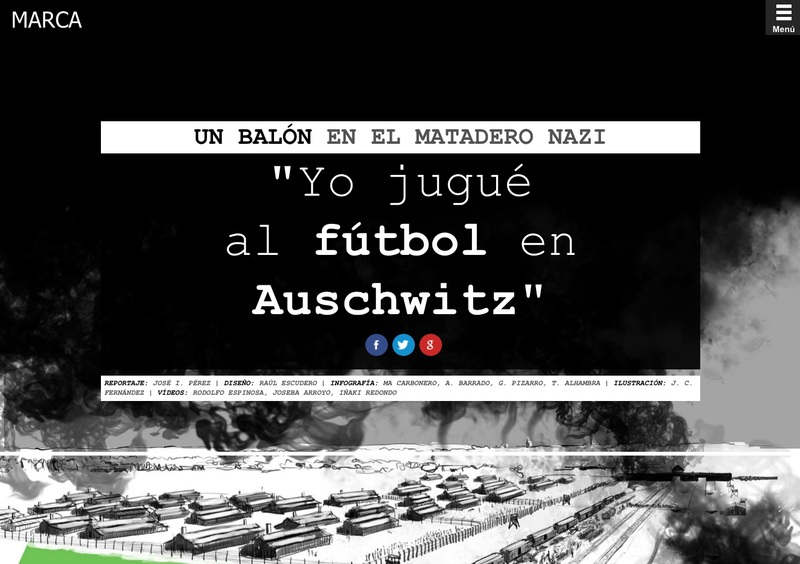 Remember, they are in Auschwitz and there they see how the ashes of the dead fall on the shoulders of the living, a few prisoners who, somewhat apart, play football in the outfit of the striped suit of the condemned. Read "I played football in Auschwitz" and listen to the voices of those who survived the Nazi Holocaust. In the damn place of football matches that nobody could have imagined. This is the story of Yehuda, Tadeusz, Miklos, Bronisaw, Wacaw, Józef, Yaakov, John, Walter, Joseph, Primo and Imre, the witnesses, who narrate in this multimedia report with videos, graphics and illustrations how those games were and in what infernal conditions they developed.